Crystal Ocean has established himself as one of the best middle-distance colts in training. And versatile, too, as he has shown high-class form between 1m2f and 1m6f. Perhaps 1m4f is his very optimum. He began his 2018 campaign with successive wins in the Group 3 Gordon Richards Stakes (at Sandown), Group 3 Al Rayyan Stakes (Newbury) and then Group 2 Hardwicke Stakes (Royal Ascot) before more than playing his part in an epic renewal of the QIPCO-sponsored King George VI And Queen Elizabeth Stakes at Ascot. Sent off 6-4 favourite, his backers would have been on good terms with themselves as he cruised into the lead but he was unable to repel Poet’s Word, his stablemate, in the closing stages and went down by a neck. The pair were nine lengths clear of the rest. “It was a shame there had to be a loser,”Sir Michael Stoute observed. Crystal Ocean had also run a racker in the 2017 William Hill St Leger. Running down towards the final furlong, the son of Sea The Stars traded odds-on in-running on Betfair but he could not stay on quite so strongly as Capri, the favourite, and went down by half a length. 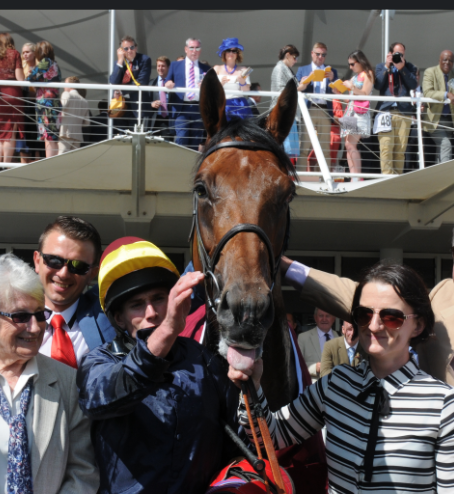 “I’d prefer to have won it, but he ran a great race, we’re thrilled with him,” Stoute said. “I thought he was going to win, but we won’t run him beyond a mile and a half again. It was always a danger that he was a mile-and-a-half horse and that’s his trip. Crystal Ocean chased home the outstanding Enable in the Group 3 September Stakes at Kempton on his penultimate start. He was beaten three and a half lengths, but was conceding 8lb to her. On his latest start he again had to settle for second, being beaten six lengths by Cracksman in the QIPCO Champion Stakes.